Over two years ago, I took a couple days off from work to put the finishing touches on the first version of this website. I left the @rocketgenius office (a.k.a. Kev’s house back then) on a Friday evening and told @carlhancock, @acancado and @kflahaut that they would not see me again until GravityWiz.com was live. The following Tuesday evening, I hit the mythical publish button that launches all good websites to greatness. I love Gravity Wiz. It’s been a side project unlike any other. I can not account for the number of hours, days, weeks and months I’ve spent writing snippets, tutorials, plugins, code, RAW CODE! for this website (and the Gravity Forms community at large). So what have I accomplished in the past two years? I’ve published 39 snippets, 15 tutorials, released my darling Gravity Perks plugin along with 18 perks, answered over 575 comments, and provided an absolutely unreasonable amount of free email support to Gravity Wiz visitors. I’m certainly not ashamed of those numbers but my feelings land somewhere shy of proud. Those numbers don’t reflect the passion I have for this project; those numbers are not my 100%. But 100% is what I am giving Gravity Wiz this year and by this time next year, I hope to have nearly doubled every single one of those numbers. It all begins with the new redesign. There are two primary goals with this redesign. The first is to reestablish the Gravity Wiz brand. A poorly-conceived experiment left TwentyFourteen as the active theme for much longer than was ever intended. Already, the benefits of clear, well-designed branding have been paying off since the new design launched last week (more on that in a future post). The second goal is to simplify the layout and styles. This will allow me to make incremental improvements more quickly. Also, having rid the site of almost all image-dependent CSS, the site’s load times have improved dramatically. 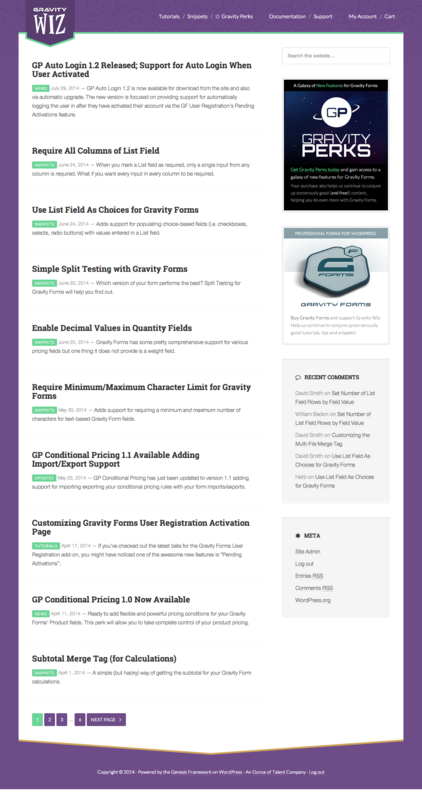 This redesign lays the groundwork for a series of significant improvements coming to both Gravity Wiz and Gravity Perks. 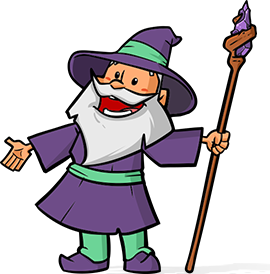 If this is your first introduction to Gravity Wiz, you picked a heck of a good time to make the wizard’s acquaintance. 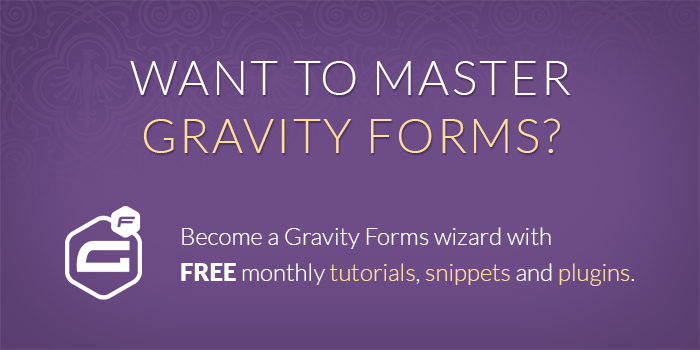 For those Gee Wiz veterans who have used dozens of our spell-crafted snippets and have half of our magically-enhanced tutorials memorized, get ready for the best version of Gravity Wiz to date. Congratulations David! Site looks awesome, and wait, wut? Gravity PERKS??? OMG YES PLEASE THANK YOU VERY MUCH. I love what you have done with the place. Everything is easier to find and much much faster and easier to read. Great work.